Adaptive immune system: The adaptive immune system, also known as the acquired immune system or, more rarely, as the specific immune system, is a subsystem of the overall immune system that is composed of highly specialized, systemic cells and processes that eliminate pathogens or prevent their growth. The acquired immune system is one of the two main immunity strategies found in vertebrates . Adaptive optics: Adaptive optics is a technology used to improve the performance of optical systems by reducing the effect of incoming wavefront distortions by deforming a mirror in order to compensate for the distortion. It is used in astronomical telescopes and laser communication systems to remove the effects of atmospheric distortion, in microscopy, optical fabrication and in retinal imaging systems to reduce optical aberrations. Adaptive behavior: Adaptive behavior refers to behavior that enables a person to get along in his or her environment with greatest success and least conflict with others. This is a term used in the areas of psychology and special education. 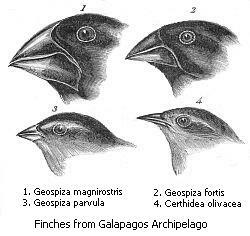 Adaptive radiation: In evolutionary biology, adaptive radiation is a process in which organisms diversify rapidly from an ancestral species into a multitude of new forms, particularly when a change in the environment makes new resources available, creates new challenges, or opens new environmental niches. Starting with a recent single ancestor, this process results in the speciation and phenotypic adaptation of an array of species exhibiting different morphological and physiological traits. 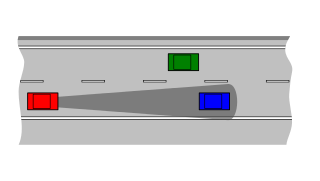 Adaptive cruise control: Adaptive cruise control is an available cruise control system for road vehicles that automatically adjusts the vehicle speed to maintain a safe distance from vehicles ahead. As of 2019, it also called by 20 unique names that describe that basic functionality.